Nine More Minutes » Blog Archive » Is It That Time Already, Again? Is It That Time Already, Again? 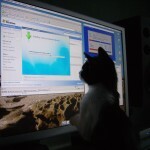 No, it’s not that time of year when I teach my cat new computer tricks. 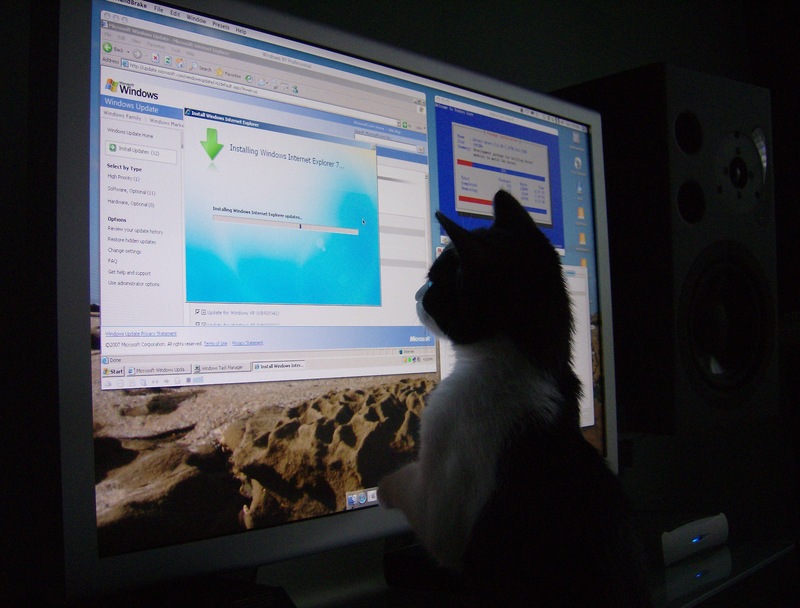 In this one, from over a year ago, she’s learning how to update Internet Explorer on a new install of Windows XP, running in a VM, of course. She’s since lost interest in operating systems, and moved on to more exciting hobbies, like destroying my Christmas tree. It’s actually that time of year when my nocturnal productivity is at its best. The extra darkness and coldness just make me want to stay inside, and I end up on the computer most of the night. Instead of becoming lazy and turning into a couch potato, I’ve decided to work on some of my side and personal projects. So here it is, the first post on the new ninemoreminutes.com! I’ve customized the default WordPress theme and turned this site into a blog and a few other pages of information about my little one-man company. This blog will be a place to write some technical articles related to the kinds of work I’m doing. Stay tuned! This entry was posted on Saturday, December 13th, 2008 at 8:33 pm	and is filed under General. You can follow any responses to this entry through the RSS 2.0 feed. Both comments and pings are currently closed.